This week I had the pleasure of meeting and collaborating with the Biodiversity team. As mentioned in the previous post by Biodiversity, they have been consistently measuring plants every week to check their growth and survivorship. They’ve also been maintaining the area they’ve planted natives in by weeding and watering the plots. In their previous blog post. 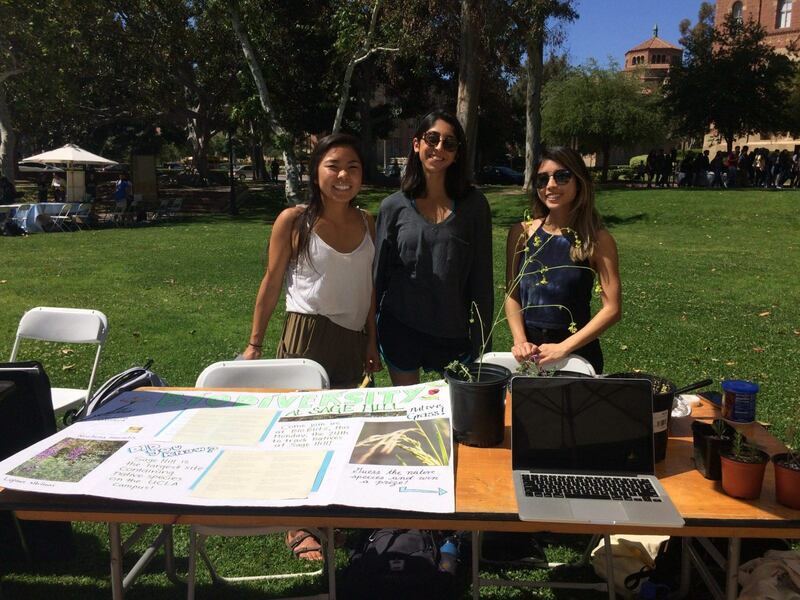 Biodiversity advertised its campus-wide event, BioBlitz which occurred last Friday and was open to the public. Attendees mainly consisted of professors and students from UCLA. The purpose of the event was to document vegetation using iNaturalist. While much of the event involved taking pictures for the mobile app, participants also aided in weeding and even planting additional transplants. Thursday was E3’s annual Earth Day Fair, during which every SAR team participated with their own table. The Biodiversity table had three different components. The first component involved participants guessing which of 6 plants were native versus invasive species. I tried guessing myself and was fairly proud that I guessed 4 out 6 of them correctly. After participating in this, the second component was receiving a participation prize: a gummy worm inside a brownie in order to simulate worms in dirt in a very adorable manner. The third component was a survey canvassing whether students have heard of Sage Hill, know where it is located, and/or if they have ever been there. Their table, while effective for spreading awareness and collecting data, was also very creative. 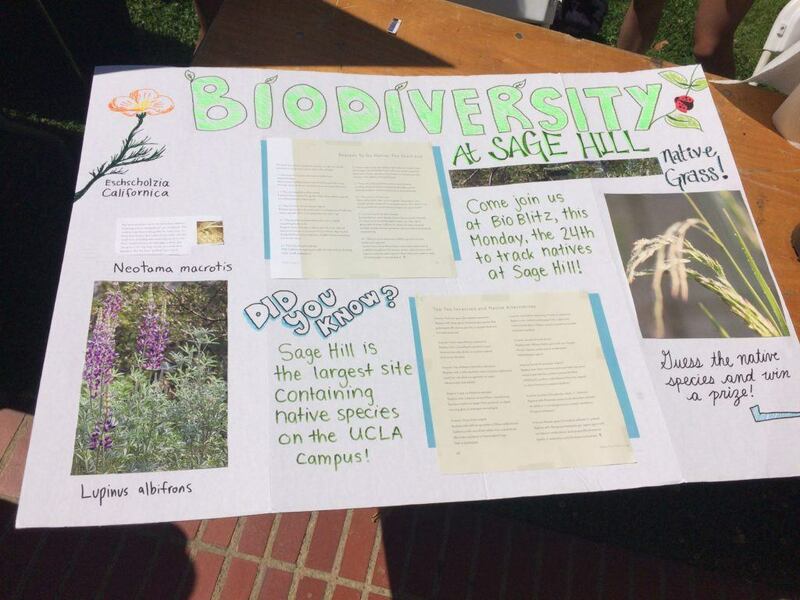 This upcoming Monday, April 24, there will be another BioBlitz open to all UCLA students. It will be similar to the previous one but will be focused on Sage Hill instead of the entire campus. For those of you interested in participating, feel free to email jadachi@ucla.edu for more information.